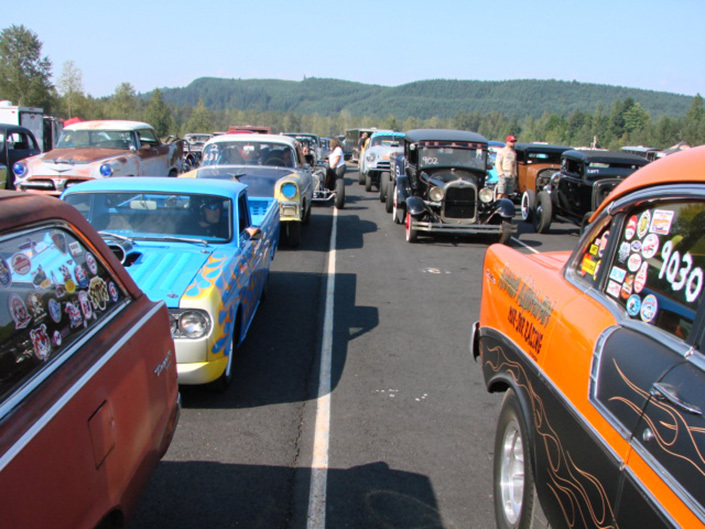 PORTLAND, Ore. (July 19, 2018) — The Rose Cup Races concluded its 58th year running this past weekend at Portland International Raceway (PIR). 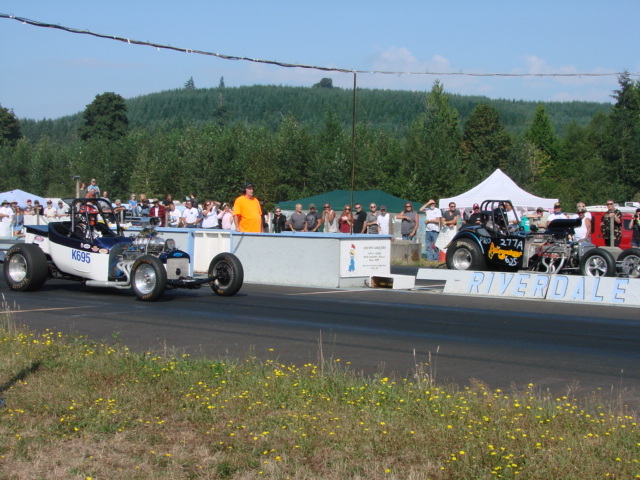 The Pacific Northwest’s premier amateur road racing event featured racing competitors from both the Oregon Region Sports Car Club of America and the Cascade Sports Car Club, competing in four amateur race groups: Spec Racer Ford, Great American Stock Car Series, Spec Miata, and a Vintage race group. 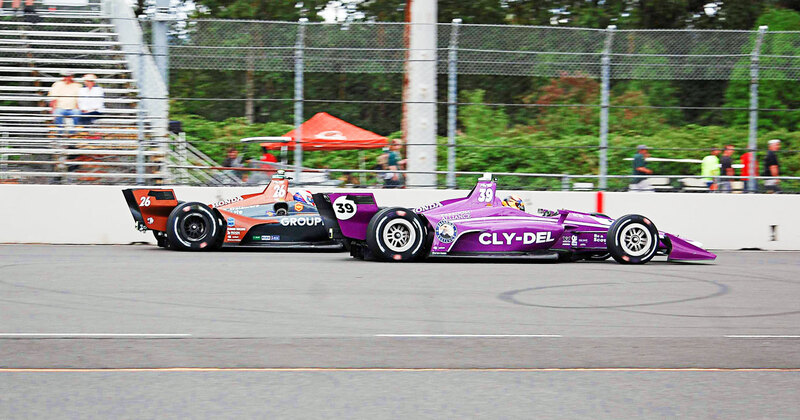 This year’s event also highlighted the return of professional sports car racing to PIR for the first time since 2009. 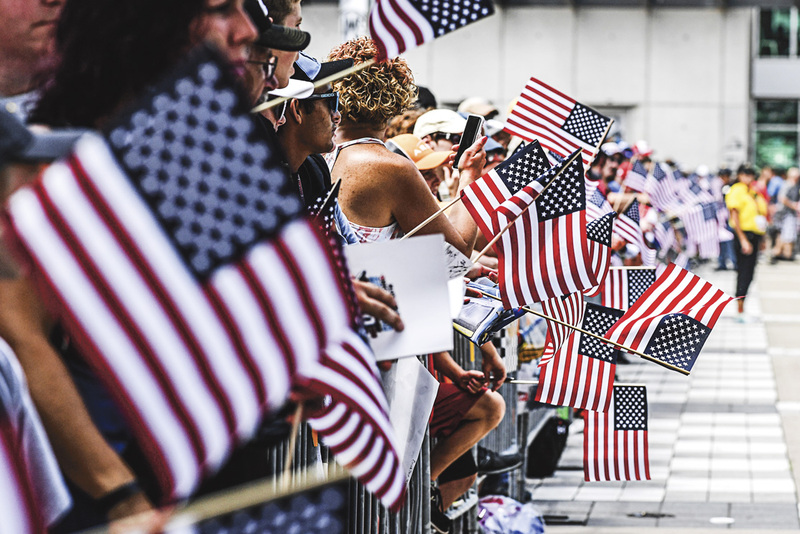 The Pirelli World Challenge, considered North America’s top GT production-based road racing sports car series, brought more than 20 different manufacturers and 40 separate models to the Rose Cup Races, with four race groups and seven classes. 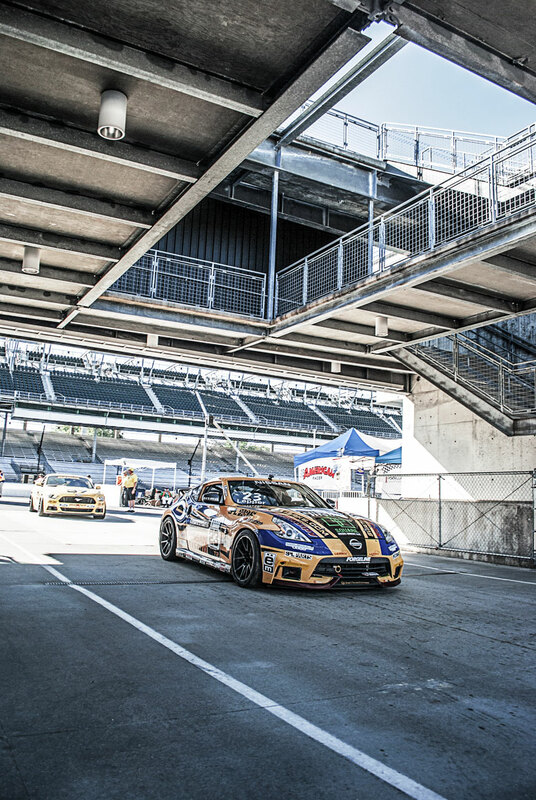 The weekend marked the first time Pirelli World Challenge has raced in Portland since 2005. 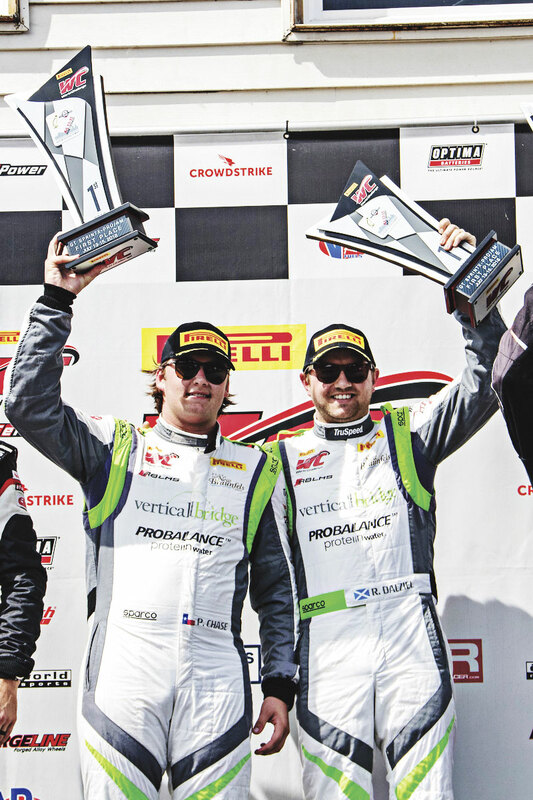 The official winner of Sunday’s 58th Rose Cup race was the team of teenager Parker Chase and veteran Ryan Dalziel, who drove their Audi R8 LMS to victory in the GT SprintX feature. Chase, a 17-year-old from New Braunfels, Tex., scored his first GT Overall win. Dalziel, a multi-time GT race winner, started the race in the No. 19 Audi and was running third when he passed off the car to the teenager. Chase is the youngest driver in the history of the event to win the Rose Cup. 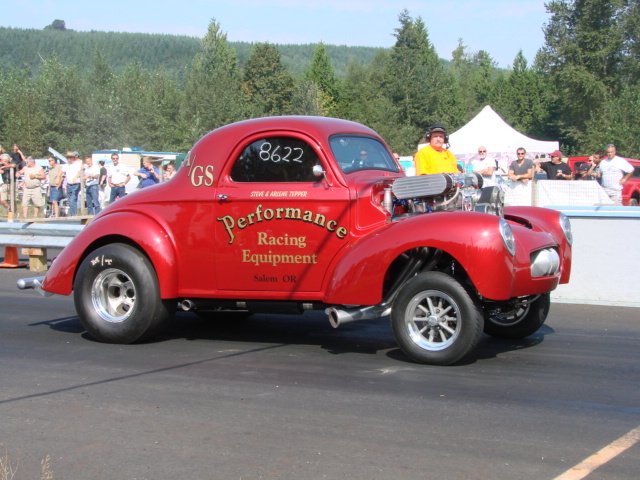 Motorsports is steeped in tradition. 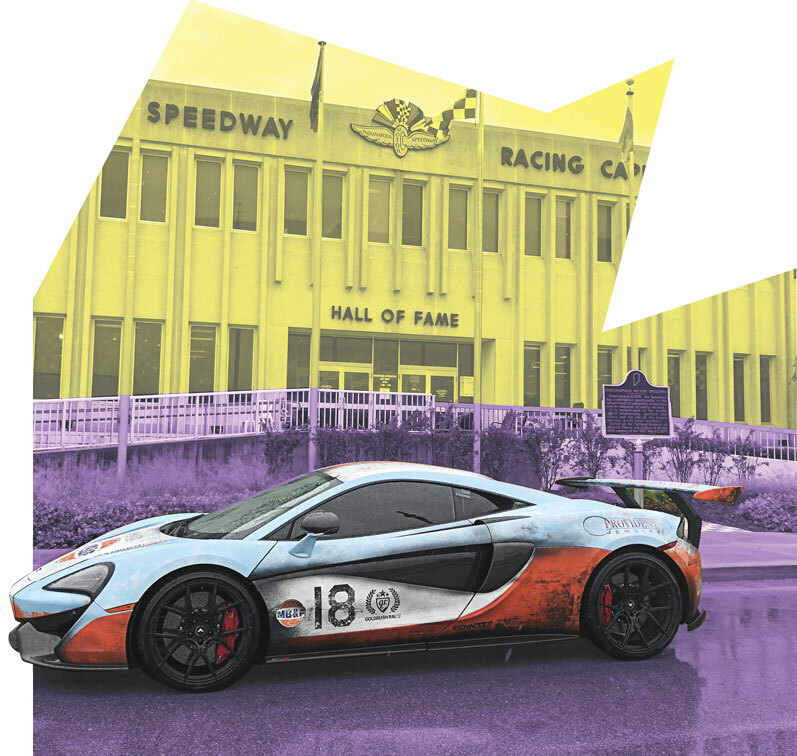 Driver lineages, rituals, and yearly challenges are defining landmarks through racing’s past. 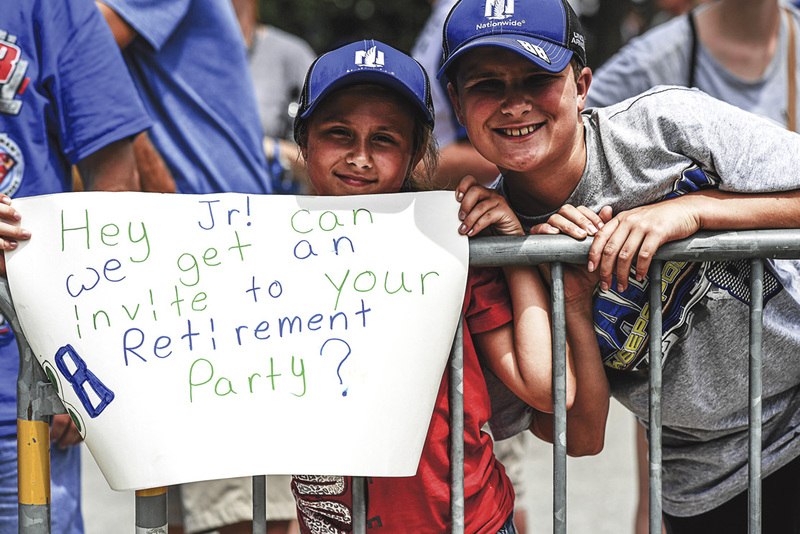 In racing, prestige comes with age. The Daytona 500? 58 years old, Knoxville Nationals? Also 58. Chili Bowl Nationals? 30 years. 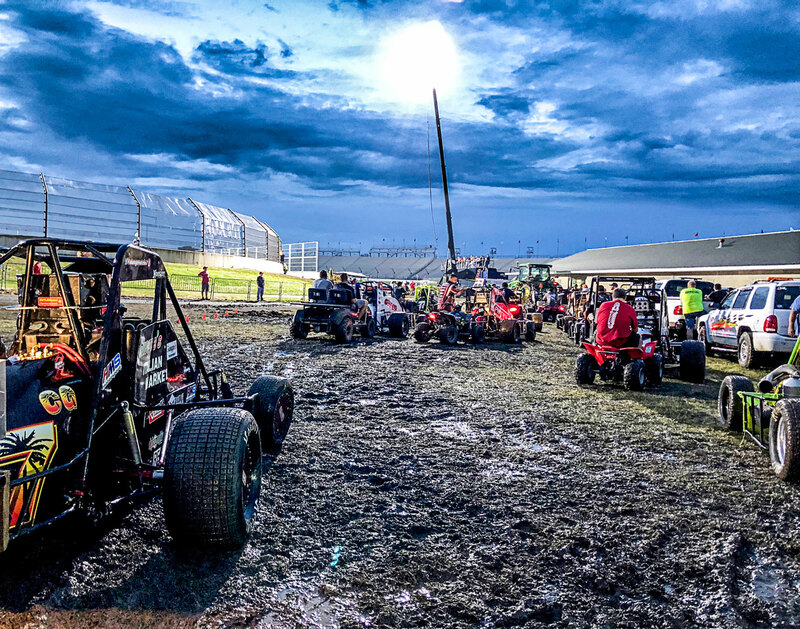 Besides Racing’s Greatest Spectacle, the Indianapolis 500- that just checked off 106 years old and 101 runnings last May, the Turkey Night Grand Prix is one of the oldest marquees in motorsports. For 77 years this race has been a Thanksgiving tradition in the southern tracks of California. The winner list reads like a who’s who of open wheel of racing history. Bill Vukovich, Johnnie Parsons, Tony and Gary Bettenhausen, A.J. Foyt, Parnelli Jones, Bryan Clauson and Tony Stewart are only some of the familiar names that are engraved into the famous ‘Aggie’ trophy. The inaugural race was held at Gilmore Stadium in 1934 and lived there until 1950. 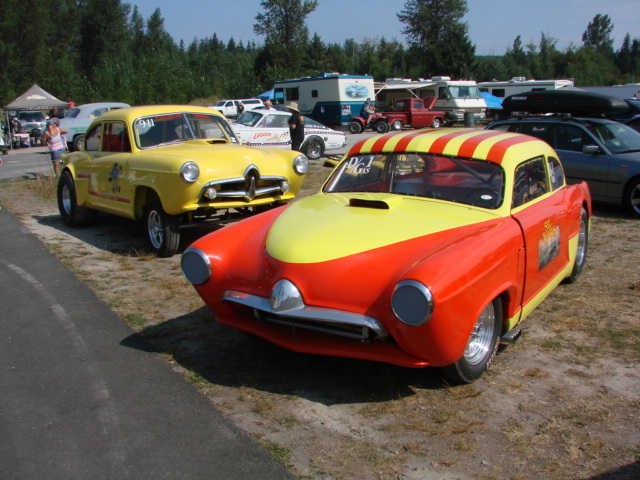 In 1960 Turkey Night was hosted at Agajanian’s famous Ascot Park for the first time. Thirty years later, the 50th annual Turkey Night Grand Prix became the last of more than 5,000 main events held since the track opened. The gates were closed the next day, the track destroyed to make way for a failed development project. 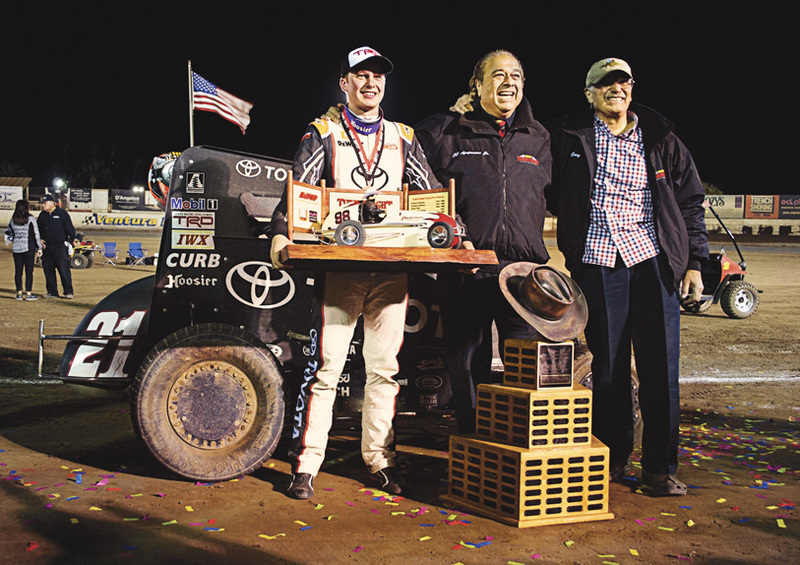 The Thanksgiving tradition lived on, bouncing between dirt and pavement tracks alike before landing at Ventura Speedway in 2016. Shane Golobic from Fremont, CA driving the No. 17w Clauson-Marshall/ Wood car led the field of 52 midgets in practice on Wednesday night before the big show, but reigning Turkey Night champion and Elk Grove, CA native, Kyle Larson, topped out qualifying. 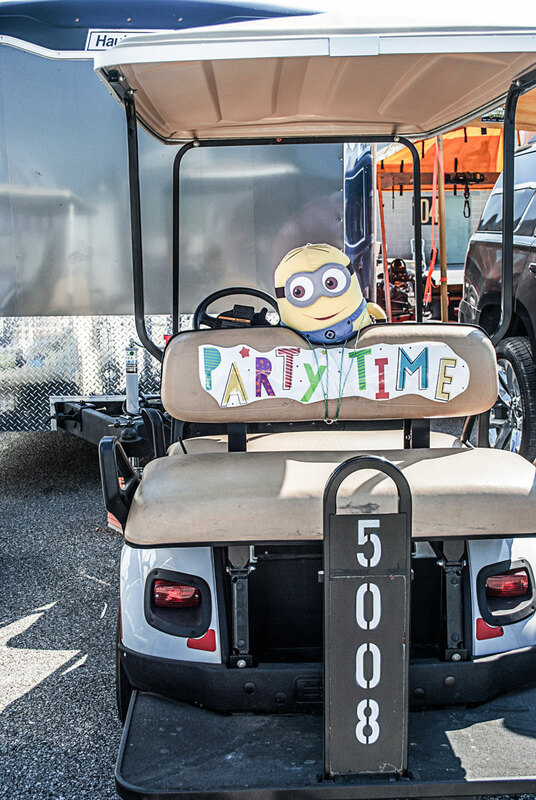 Though Larson has recently reached mainstream recognition for his talents in the NASCAR Monster Energy Cup series, his roots are in open wheel dirt track racing. 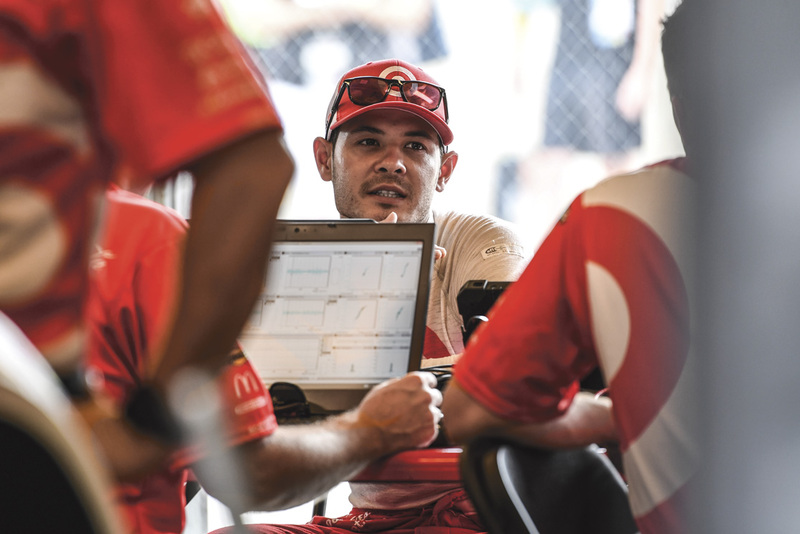 “Coming back to dirt is like riding a bike,” says Larson. A daring competitor, he is known for his hair-raising strategy of working the high line around the track. Though he put up a valiant fight, it was Norman, OK native Christopher Bell that took home the trophy at the end of the night. Though the box score only counts three official lead changes between Larson and Bell, it is not indicative of the battle fought. The two sea- sawed from the very beginning, trading point multiple times within each lap. At one time Larson swept his No. 1 Kunz/Curb-Agajanian- racer around the outside of Bell’s No.21 Kunz/Curb-Agajanian car going down the front straightaway, daring Bell to find a new line. Immediately through turn 1, Bell fired back by impossibly finding grip higher on the groove. A couple of yellows slowed down the pace and bunched the cars back up. Bell held off Larson on every restart, high low and in between. You could throw a blanket over the two right down to the end of the 98th and final lap. Golobic closed the gap in the last two turns and finished third. Bell crossed the line .193 seconds before Larson. 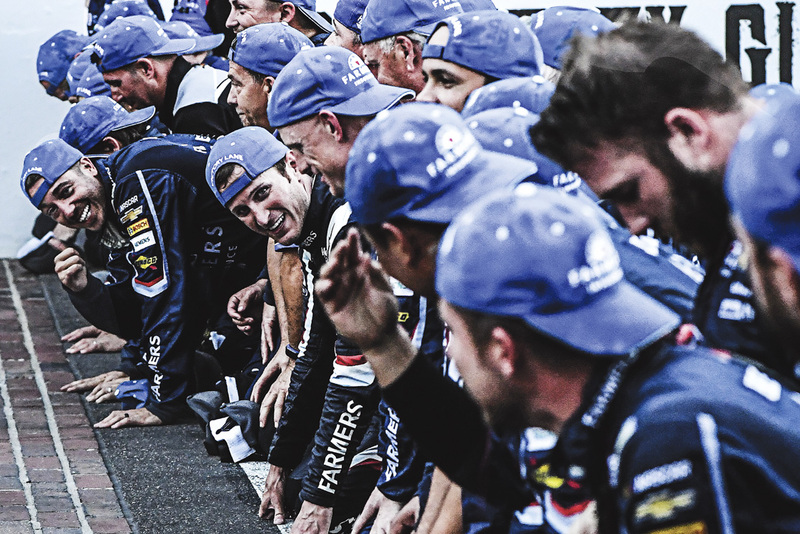 Bell has had an exceptional 2017 campaign, racing — and winning — in the NASCAR Xfinity and Camping World Truck series, and taking home a Golden Digger from the 2017 Chili Bowl Nationals. 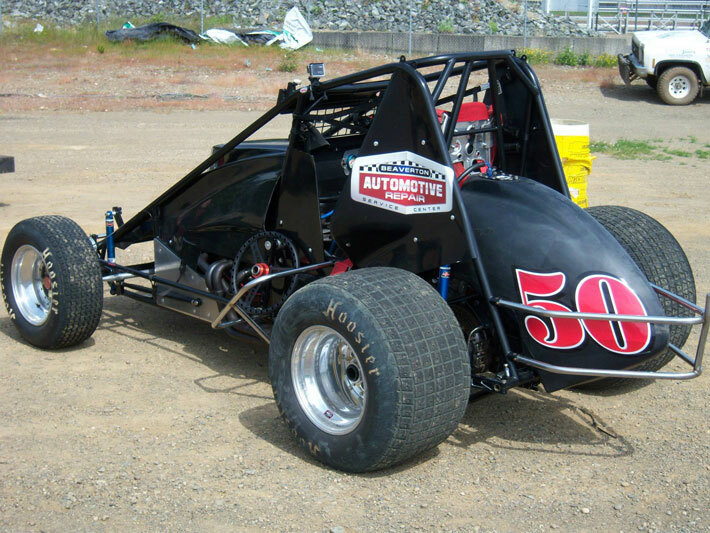 Turkey Night is just the whip cream on Bell’s already impressive launch into the higher levels of professional racing. At 22 years old, Bell is following the projection of Larson, Jeff Gordon and other open wheel hotshots. “Did you guys have as much fun as I did?” Bell asked the crowd after getting out of the car. 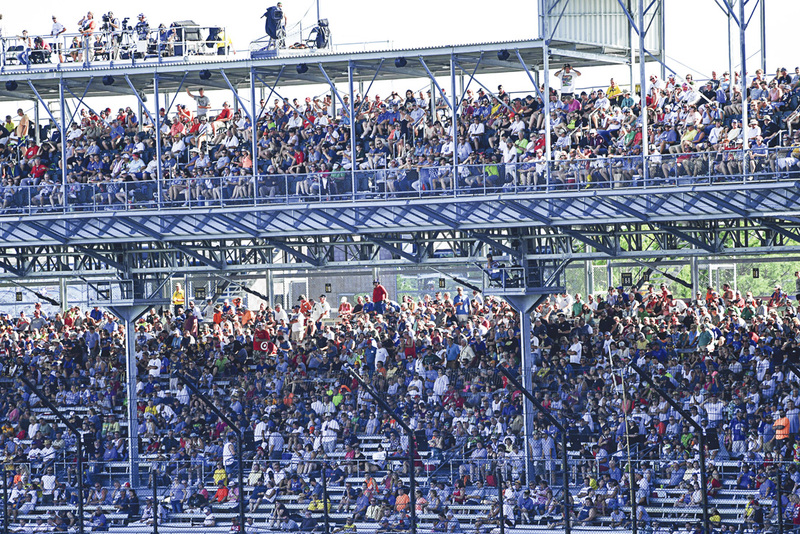 The packed grandstands roared in return. 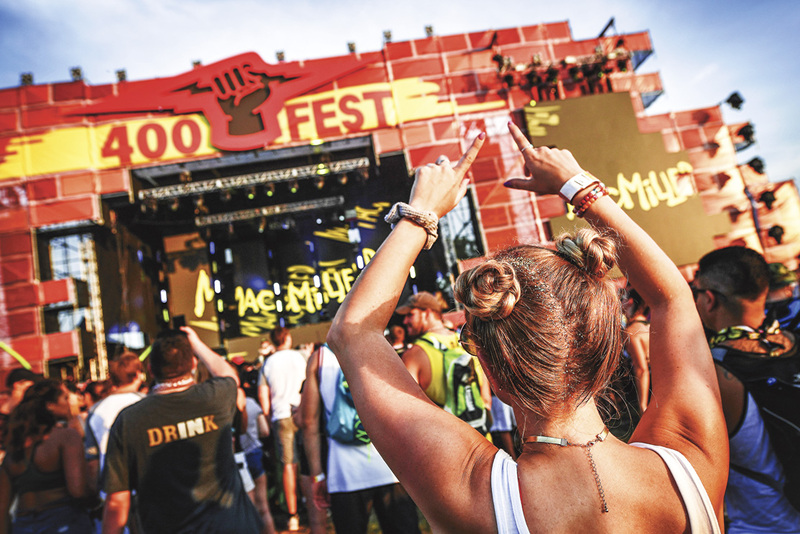 As far as traditions go, this one is well worth pulling up a chair to. It is always a feast of talent. 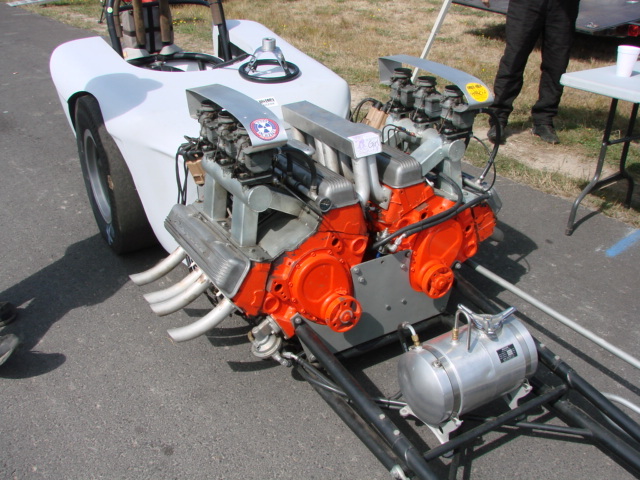 The Sports Car Club of America is the largest operating racing sanctioning body in the United States. 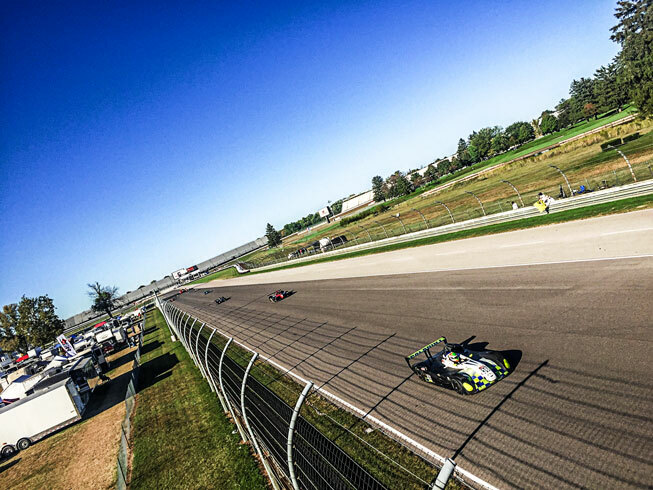 Making up 116 regions and over 67,500 registered racers, the whole schema surmounts to their big event: The Runoffs. 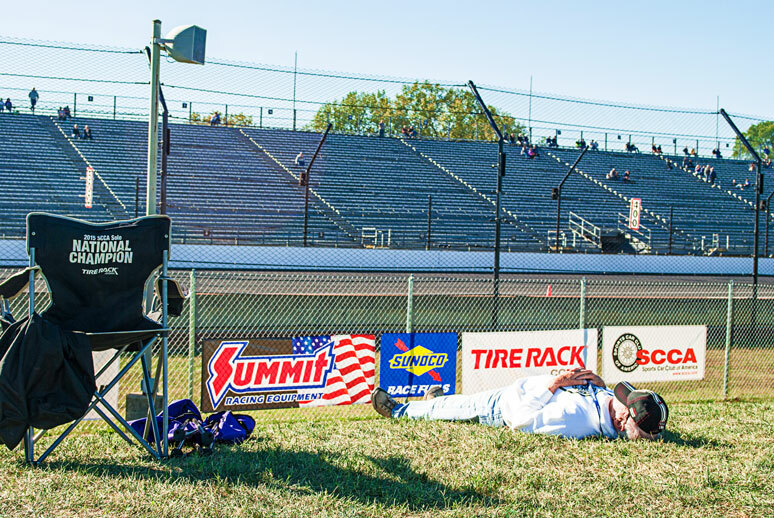 Every season the Runoffs is hosted by a different track. This year, they added the Indianapolis Motor Speedway to the rotation- Pulling an unprecedented 969 entries from around the country. 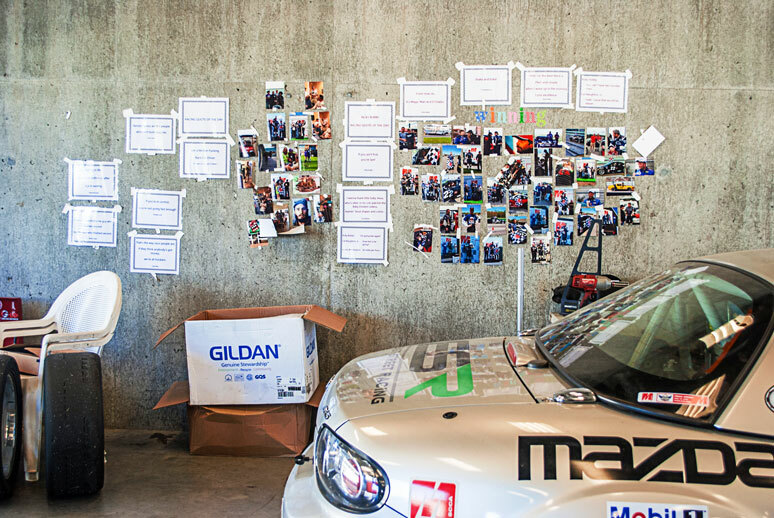 The entire 1,025-acre facility was filled to the brim with Miatas, Spec Racing Fords, Formula cars, GTs, and others. 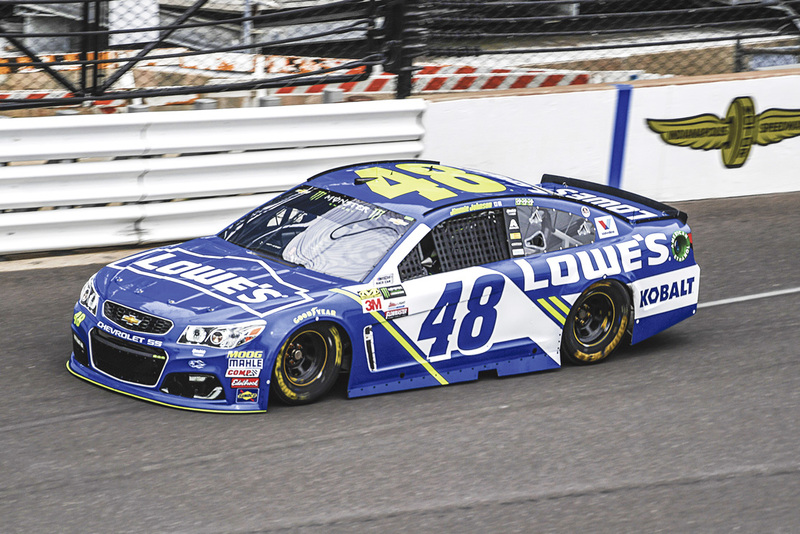 For a large majority, this is their first time at the famed raceway, and the significance was not lost. 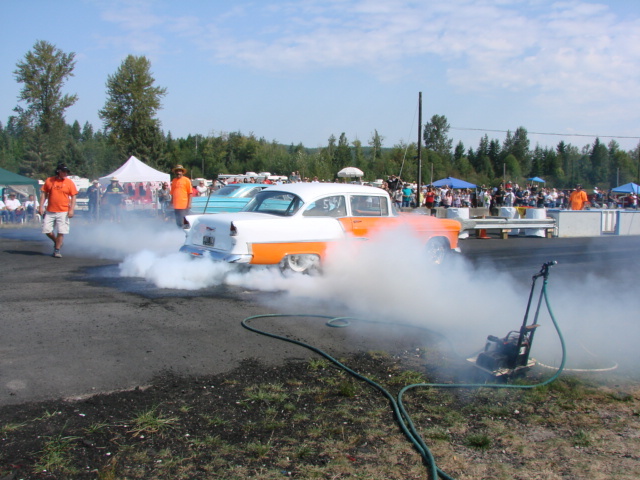 You must qualify in order to participate in this event, and for most, that road is steeped with tough competition. It is an honor simply to start the main race for each class. Over a week of qualifying and pre-races boil each class down to at most 72 cars. The challenge in covering this event is the magnitude. This whole experience was huge. 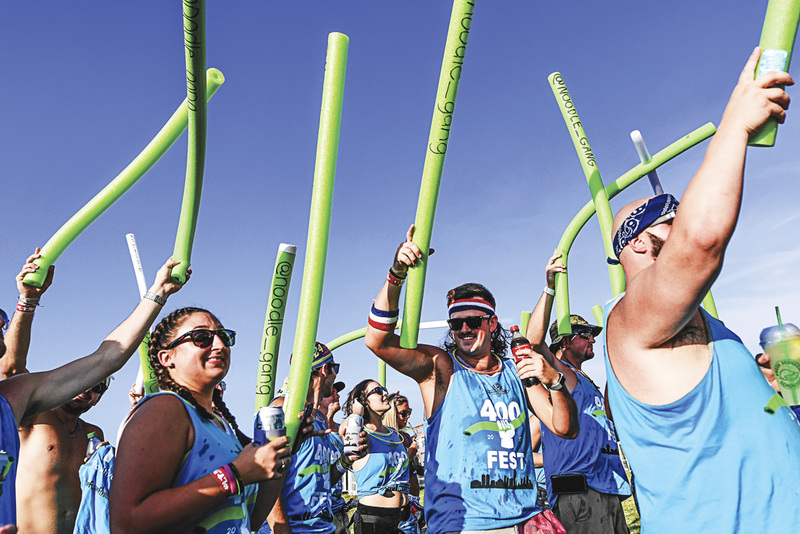 Not in the way that the Indianapolis 500 is, but in trying to wrangle the all of the details, I found my mind swimming. Instead of a race report or traditional driver feature, I set myself adrift through the pits to discover. 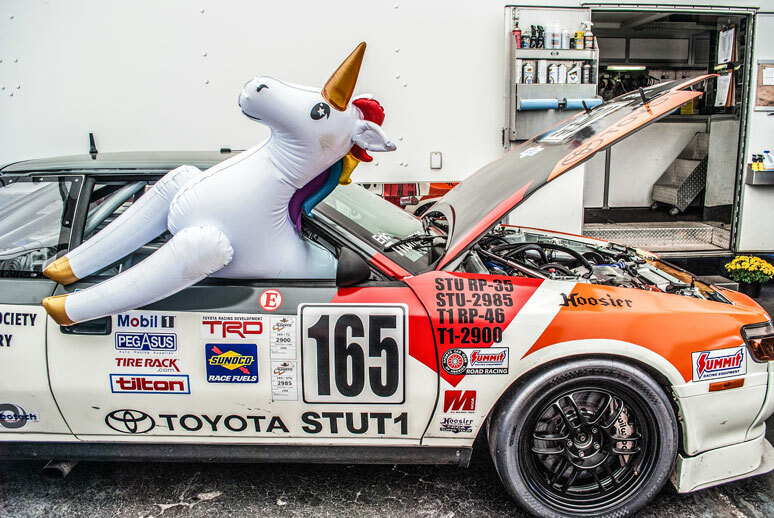 In this, I met some very interesting people, came across some strange pit stall decorations, and learned a lot about the world of SCCA racing. Here is a log of my day in the ocean of SCCA. Arrived at the Indianapolis Motor Speedway greeted by a yellow shirt and the familiar drone of cars on track. One of the last-chance races was already underway. After fighting the stream of cars, motor homes, and people, I located the crew that had adopted me from the week. We set off for high ground to watch their last driver compete in the next race. Tucked into the breezy shade of the inside grandstands deep in turn 4, the 72 car Gen 3 Spec Racing Ford field is set for green. I have never seen so many cars on track at once. While perusing the many speedway souvenir shops in search for a gift to give his generous sponsors, my study for the week is a driver by the name of Connor Solis from the San Francisco region. 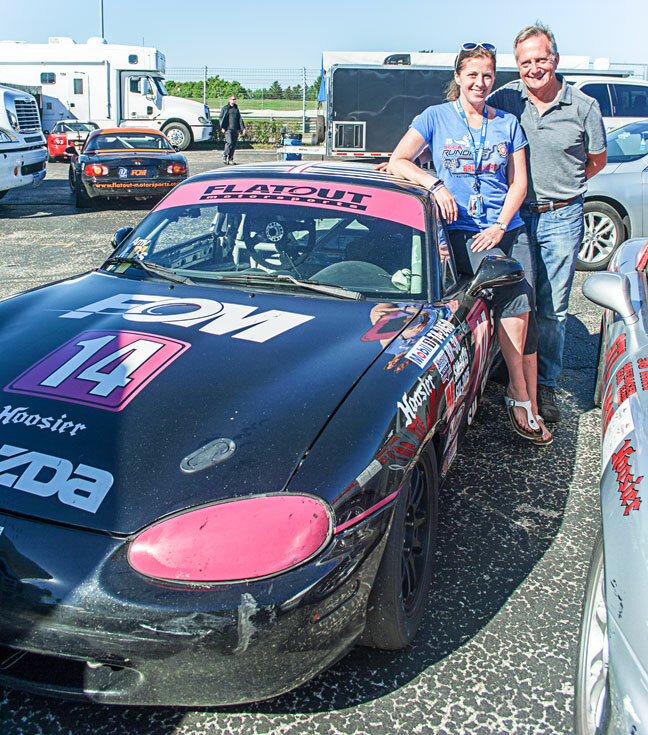 Aspiring to professional levels of competition, Solis came to his first Runoffs with a destination in mind. 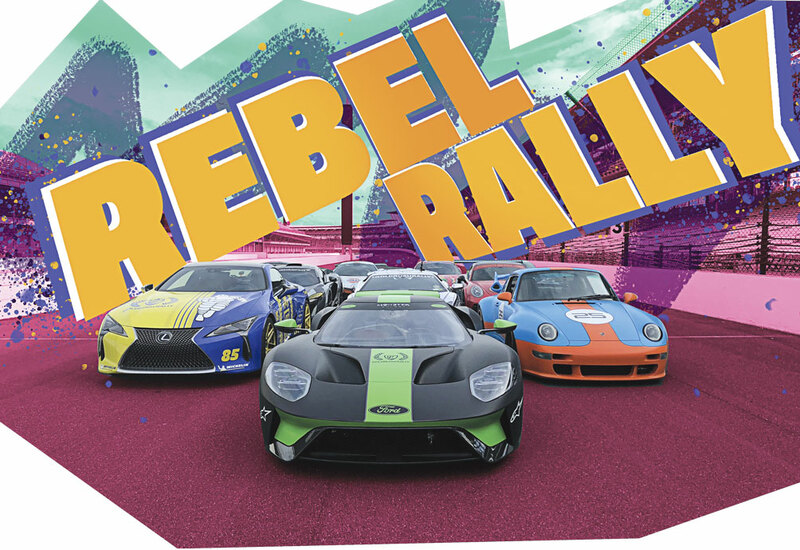 “Indy, of course, is significant, but my goal this year was the Runoffs no matter where it went.” he said, “I want to race in IMSA or the Pirelli World Challenge someday.” He is not alone in this crowd; SCCA provides a greater platform and feeder system to the major leagues. 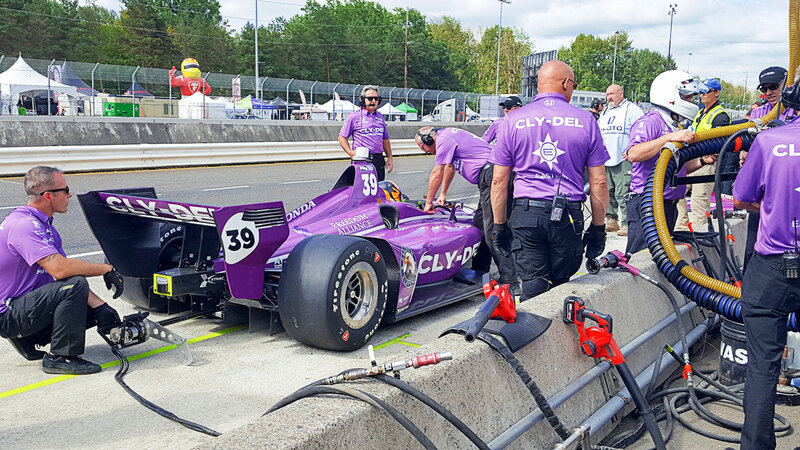 Finishing 7th among the fifty entries in his class, Solis walked away from the Runoffs with new contacts and an impressive new point added to his racing resume. I found the unicorn pit. I love that rumbling noise of the cars as they glide under the tunnel that connects pit lane to Gasoline Alley. Ran into Indianapolis Motor Speedway President Doug Boles out enjoying the race weekend. “I am always out here,” he grinned as the Prototype race came down for the green. The view peeking through the sky bridge above the back straightaway over the 15-turn, 2.592-mile road course. Came across the most elaborate pit set up around. Complete with inflatable furniture, party lights, and a full-sized doughboy pool, this crew from Jupiter, Florida was camping in style. “The pool came in real handy when it was muggy earlier this week,” laughed driver John Kauffman, “as it started to cool down in the evenings, we are trying to find a way to heat it like a hot tub!” Their efforts were apparently unsuccessful. 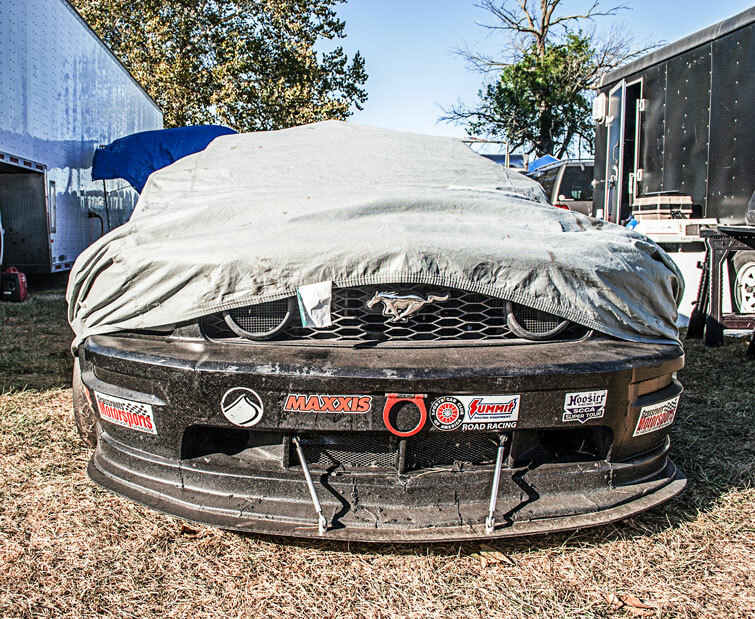 This Mustang, like most other cars and pits, were tucked in for the night. Ready for the long trek home to every corner of the United States, and awaiting next year’s Runoffs that will be held at Sonoma Raceway in Sonoma, California. 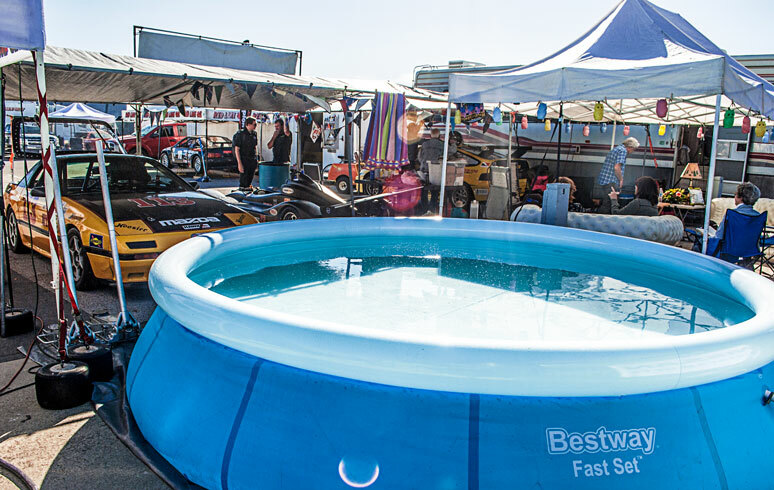 NASCAR and Indycar are two very different worlds. 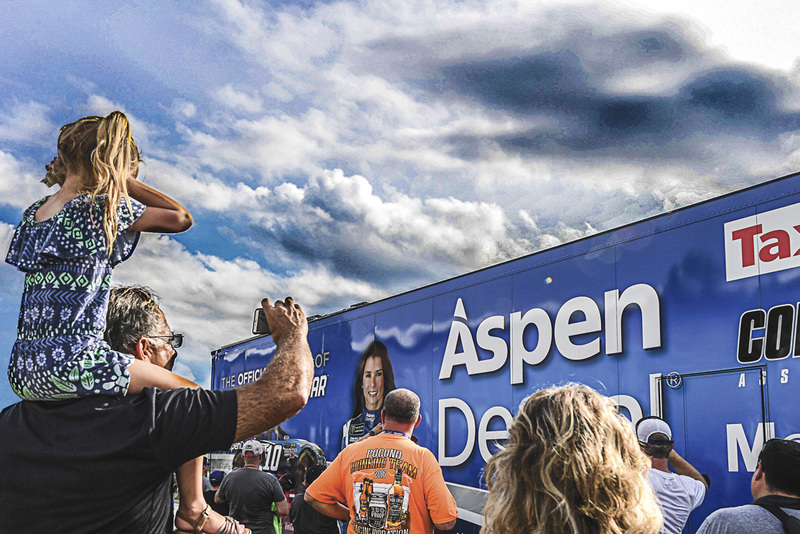 The fans, the cars and the whole spectacle of it all is like comparing apples and oranges. 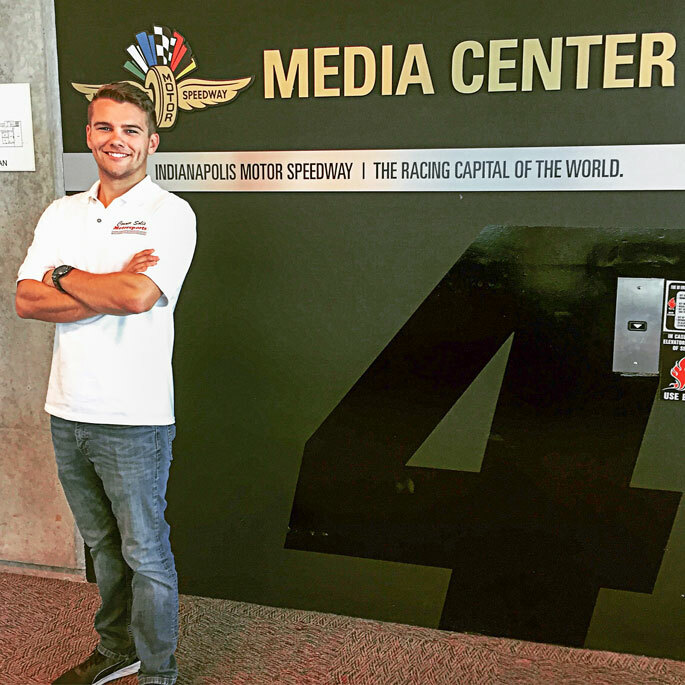 Working around the Indianapolis Motor Speedway, that difference is striking when comparing the Indianapolis 500 and the Brickyard 400. 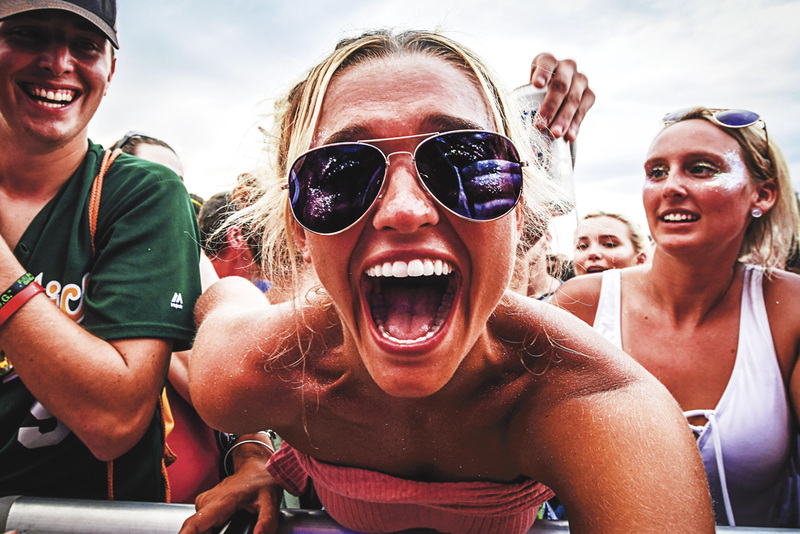 Trying to integrate a younger crowd into the race weekend, there was a large two day concert festival called ‘400 Fest’. 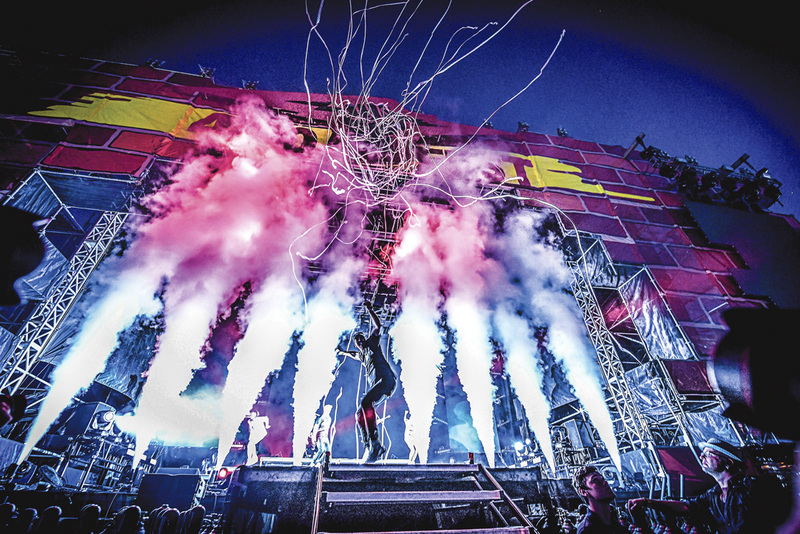 Main attractions included Major Lazer, the Chainsmokers and other electronic ‘dance’ type music. The race itself was a feat of endurance. 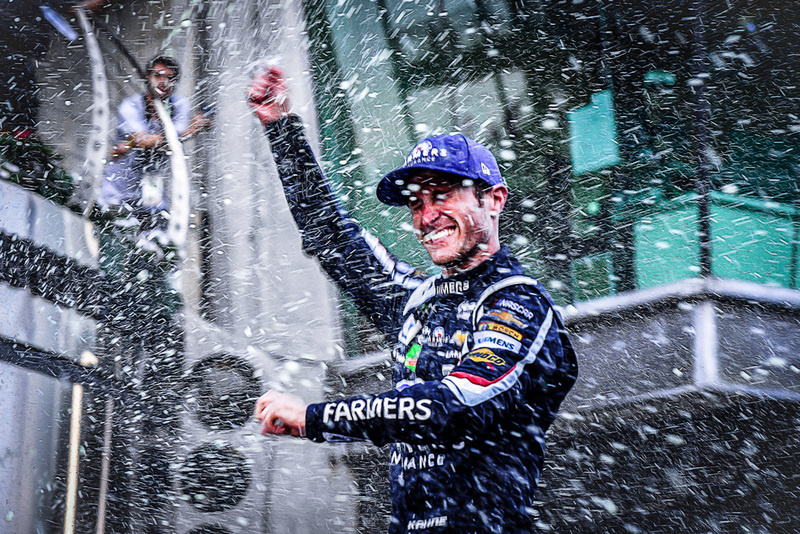 Withstanding a rain delay and 14 yellows, Kasey Kahne prevailed as the winner in the No. 5 Farmers Insurance Chevrolet. Walking through the hallowed grounds of the Indianapolis Motor Speedway, there was something interesting to capture around every corner. 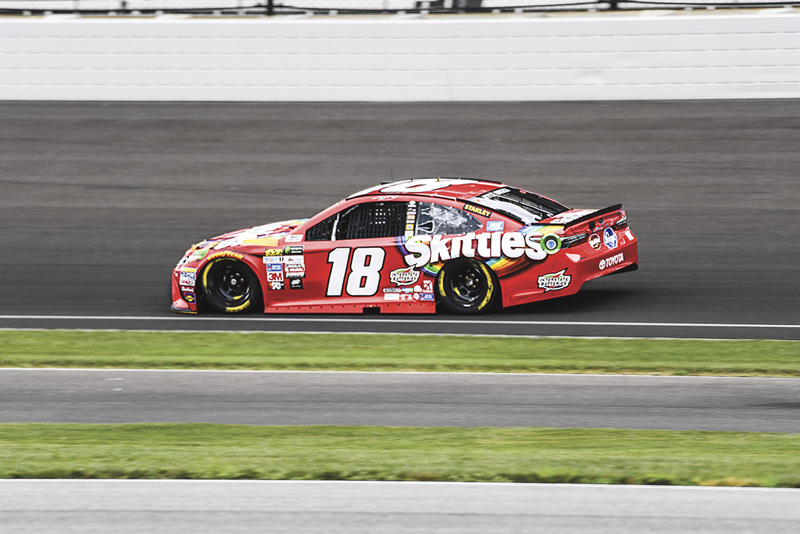 This is: The Brickyard 400 in pictures.